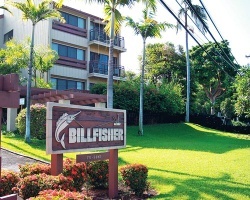 Lush tropical foliage and exotic gardens surround your vacation home at the *Kona Billfisher* on Hawaii's *Big Island*. Within a quarter-mile are a number of places offering water activities along both lava-rock and sandy beaches. In addition, golf, tennis, and horseback riding can all be enjoyed close by. Kailua-Kona Village, a five-minute walk from the resort, is a center for deep-sea fishing. The island features everything from rain forests to dry desert plains, snow-covered mountains to volcanoes. Historic sites can also be found throughout the island. 4 weeks per year on the same deed! Enjoy weeks 13, 14, 15 and 16! Buyer may receive a title fee credit, inquire for details! Week of the Triathlon! Price includes all four weeks! All weeks are on the same deed! Enjoy 4 weeks per year! Buyer May Receive A Title Fee Credit, Inquire For Details! 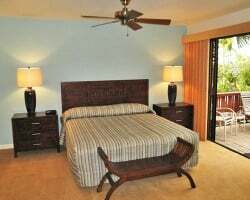 Come relax in Hawaii! Floating week of your choice! Buyer may receive a title fee credit, inquire for details! 4 weeks per year! September 15th - October 14th! 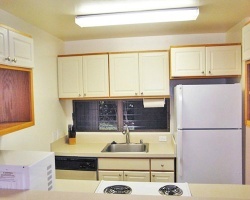 Ground floor unit! Buyer may receive a title fee credit, inquire for details!